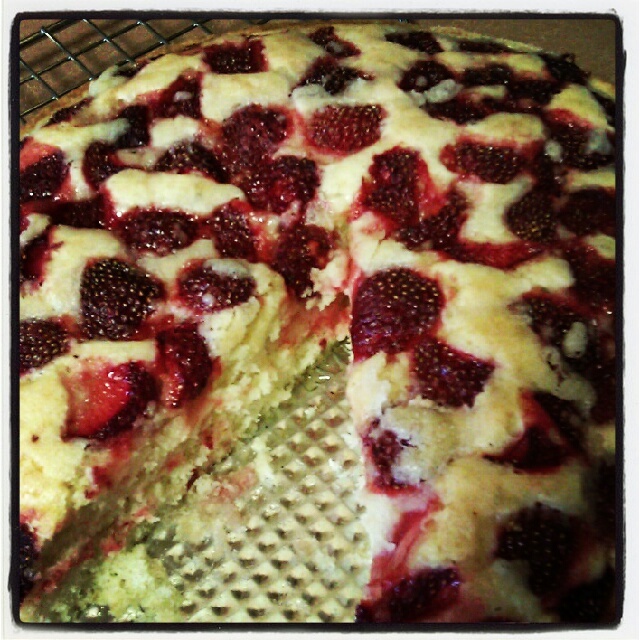 It’s that time of year, early summer and the end of strawberry & rhubarb season. Thanks to my CSA I had a bit of both on hand. I like the flavor of rhubarb, but really don’t like the texture and have never cooked with it before. Some kind of strawberry rhubarb crisp or pie was the obvious choice, but I didn’t want to make something with pieces of rhubarb in it. Then this morning I went strawberry picking with a friend. The bushes were pretty much picked out, but we managed a couple pounds each. Since my freezer is already pretty well stocked with frozen berries I decided these should be jam. 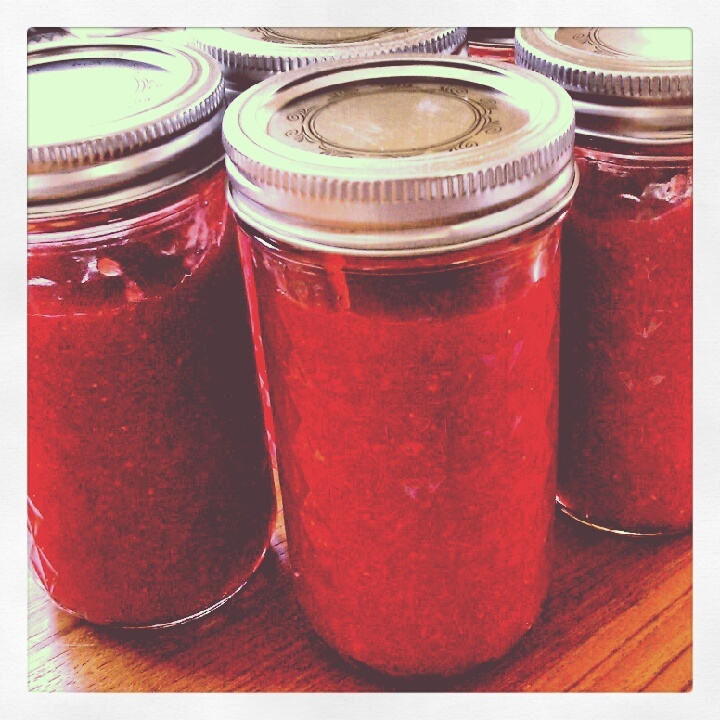 I had just enough for a batch of fresh strawberry jam! Summer stored away in jars to last all year long, yum! So… two rounds of strawberries and that rhubarb was still mocking me. 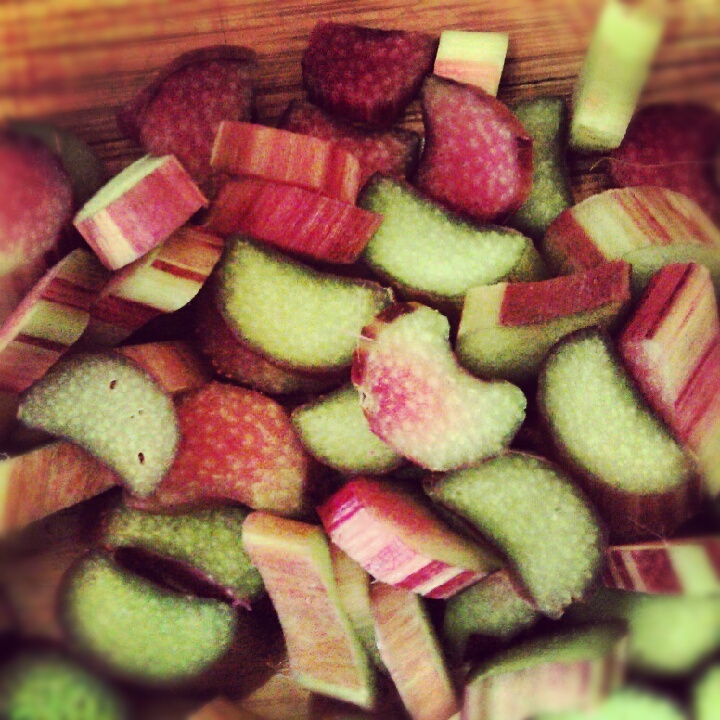 I’d recently been thinking that I wanted to experiment more with new flavors of ganache for truffles… why not rhubarb? I do like fruit (or in this case tart veggies) with my chocolate… I hunted around a bit online and found a couple recipes that at least gave me a starting point. I used this one for the base of the rhubarb puree (though I added less sugar and on a whim a bit of grated ginger). Since I was already playing with a couple new things why not make them vegan? I used almond milk instead of cream (and left out the corn syrup and butter – those don’t belong in ganache!). The puree is super tasty and I’m happy to have extra to use for something else. 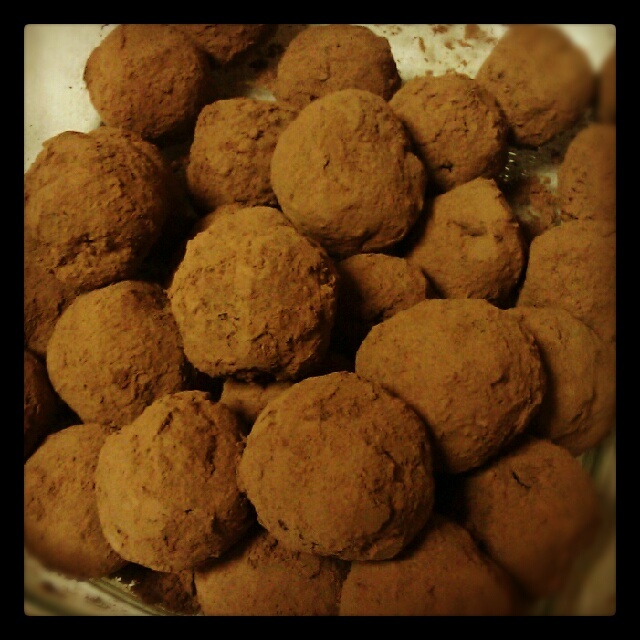 I don’t know that you’d guess the truffles are rhubarb, but it’s a nice tart fruity contrast to the dark chocolate. I’ll call them a success.